And would it really kill commerce as we know it? The Bayshore Mall may soon include the Bayshore Wal. Local union reps and labor experts are dismayed, predicting scenes of post-Walmartalyptic depression and lost jobs. But ... Costco, Target and Kmart are already here. Is Walmart really any worse? Researchers can't say with any certainty. Walmart's smaller rivals have avoided the legal issues that make data on Walmart so easy to come by, so it's tough to make direct comparisons. Even though studies clearly show Walmart's depressing effect on retail nationwide, the effect of a new Walmart on any particular community is unpredictable, especially in an area already fully loaded with big box stores. Still, locals are deeply suspicious. "Walmart is a bad neighbor," said John Frahm, the local United Food and Commercial Workers Union representative. "If Walmart comes to the area we're gonna lose a lot of local businesses." Frahm said that adding Walmart to the selection of local retailers will do nothing but crowd the pool, pushing some of the smaller retail stores under, while sending profits outside Humboldt County. Compared to Walmart, Frahm feels much better about Kmart and Target. "They don't have quite the record that Walmart does. They don't have all the lawsuits lined up against them," he said. Other big boxes don't show the same disregard for their employees or the same aggression as Walmart, in his view. "Walmart wants to take over the community," he said. Costco, at the other end of the spectrum, is a pretty decent employer in Frahm's opinion, even though its workers are not union members. To be clear, it's not a sure thing that Walmart will come to town. 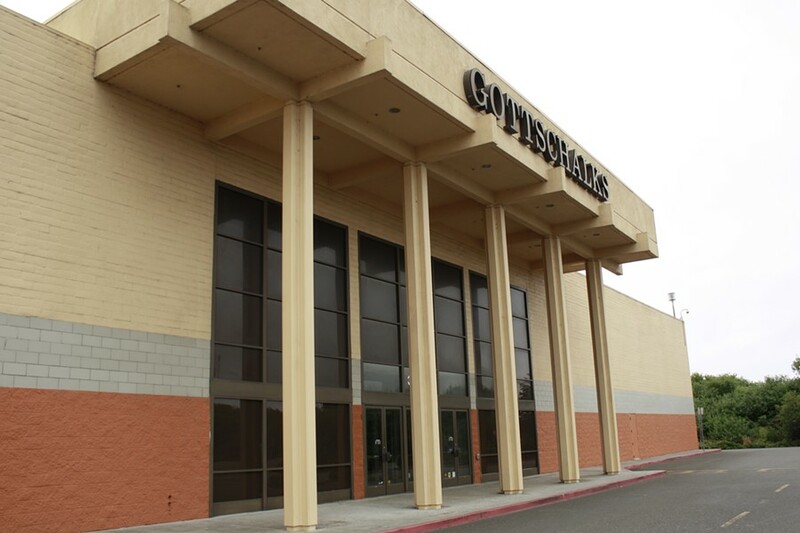 The only information available to the public is that a mystery retailer is preparing to occupy the spot in the Bayshore Mall left by Gottschalks. Reticent city employees aren't talking, and Walmart is similarly mum. In response to an email inquiry, chipper Walmart spokesperson Angie Stoner said, "We have nothing to announce or confirm in Eureka, but I can tell you that in communities across the country, people want to shop and work at Walmart." That's not exactly a denial. While Walmart will boost employment initially when it opens, eventually it could cause other businesses to close, leading to more lost jobs than it will create, said Ken Jacobs, chair of the UC Berkeley Center for Labor Research and Education. Furthermore, the jobs created will pay less than the jobs lost. "Walmart is not expanding the workforce, they're substituting," he said. Plus, competitors have to pay workers less in order to compete with Walmart, leading to lower wages across the retail industry. A 2007 study by Berkeley's labor center, looking at the years when Walmart expanded from 1,800 to 2,500 stores nationwide, found that average retail wages dropped by as much as 1 percent countywide after a Walmart opened. Still, "in any given town, is Walmart any worse than a Kmart or a Target or anything else? It's hard to say," Jacobs said. Walmart's history of lawsuits and public relations disasters means that one measure of merit, its average workers' wages, is readily available online. Target and Kmart declined to share average wages, while Costco headquarters said that its workers make $20.12 per hour on average, plus free samples, considerably higher than Walmart's $11.75 average hourly wage. Jim Smith, president of the local Labor Council, wishes Walmart could be more like Costco. "Costco, they take a living wage to their employees, they provide a benefit package, they don't rely upon the government for health care. We welcome them," he said, adding, "We shop there for our Labor Council picnic." Another Costco fan, Jacqueline Debets of the Humboldt County Workforce Investment Board, said, "When you go to Costco you can see the same faces." By contrast, Walmart has high employee turnover and low benefits. By limiting hours or pay, Walmart keeps many of its employees eligible for government health services, Debets said. She wasn't sure how Walmart stacks up against Target or Kmart locally, but she said that if the mystery retailer is Walmart, it has done a neat job of shoehorning into an area where it hasn't been welcomed in the past. In 1999 Eureka residents voted down Walmart's bid to rezone an area of the waterfront for retail. By using the space left by Gottschalks, which is already zoned for retail, Walmart (or whoever) bypasses any zoning issues - which means the Eureka City Council and Eureka voters are also cut out of any further decision making. If it is Walmart, it's a smart play, said Liana Simpson, manager of Sequoia Personnel, an employer-employee matchmaking service. By moving into an existing space, the store avoids conflict with the Coastal Commission. Simpson is all for a Eureka Walmart. When she goes to the Crescent City Walmart, she sees people from Humboldt County, and she would rather see those jobs and those consumer choices here in Humboldt. "We have to be more positive about growth," Simpson said. For many, cash trumps all. Eureka resident David Bazor said that he would probably shop at Walmart sometimes. While Bazor likes to support local business, especially local food producers, he'll go with the big box option when the price difference is big enough. For some things, he said, the bigger stores just have better deals. Bazor was headed to his car after loading up on spray paint and boxers at the Eureka Kmart. "It purely depends on the item," he said.